How about an apartment in the centre of Barcelona next to the beach? Barcelona Beach Apartments offers new and stylish apartments for short and mid term rentals in its own renovated building located just 50m from the beach. 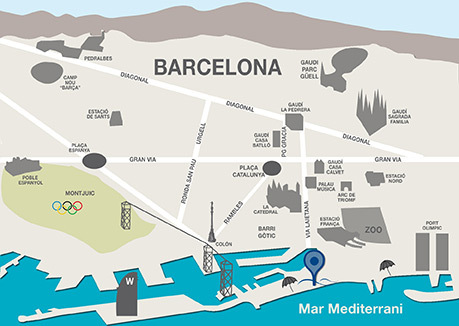 The apartments are in the former fisherman quarter of Barceloneta with its charming seafood restaurants, and only a short stroll away from the fashionable area of Born and the famous Ramblas. Instant booking - direct with the owner. "Perfect location! I will recommend this apartment to all my friends. When I ever go back to Barcelon..."
"Perfectly accomodating small apartment with everything needed to make yourself at home (furnished, s..."
"The newly renovated apartment was one of the best we have stayed in - having visited Barcelona 5 tim..."
New and hip Apartments in own renovated buildings located in the fashionable Barceloneta, right in the centre of Barcelona.